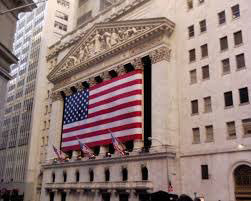 Wall Street | Custom & Private New York Tours, Inc.
A short walk to view The New York Stock Exchange, exterior only, since 9/11. Federal Hall, now a museum, with a number of significant historic artifacts. George Washington was sworn in as our first president here and it’s the site of the signing of the Bill of Rights. Trinity Church and the famous sculpture, known as “The Bull”, The Alexander Hamilton Custom House and Bowling Green Park, all with historical facts of interest. Why is it called it Wall Street? Hum?